How do Content Providers deal with the loss of subscriptions from their users? What can they offer to get loyal customers, and how can they optimize their business model to increase their profitability? How do OTT market leaders differ from each other? In an increasingly demanding OTT consumer market- and likely to unsubscribe when they do not receive the desired content or the expected quality- Content Providers are constantly required to use tools that ensure a good user experience in order to retain them, while also optimizing costs and investing in innovation to make the business model more profitable and with greater added value. Toolbox has the answer for Content Providers, partnering with them and offering them technology solutions to grow their business. 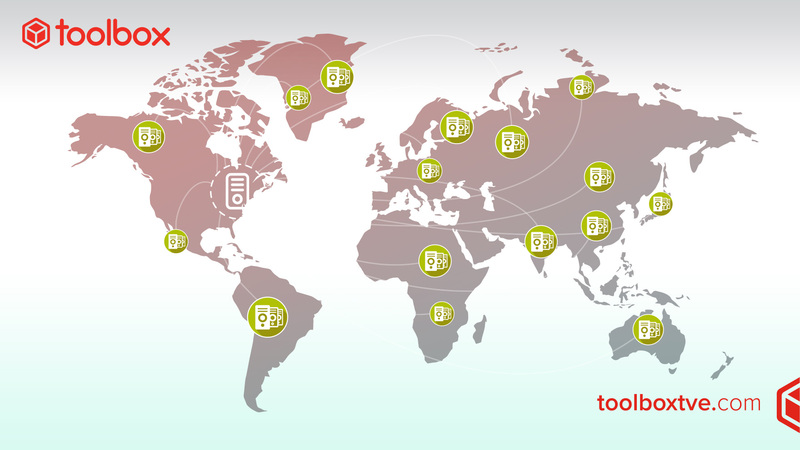 As part of the configurable solutions portfolio adapted to the client’s needs, Toolbox provides Content Providers with Cloud Mirror, the tool that ensures the highest quality image with the lowest latency in the market, together with real cost optimization thanks to the use of a local CDN that reduces expenses in content distribution from international servers. Cloud Mirror is a proprietary CDN (Content Delivery Network) solution that replicates the contents of the Content Providers’ OTT platforms on nodes installed in ISPs or MSOs and distributes them at high resolution with local data transfer costs. The user downloads content from the nearest server, minimizing latency and increasing the quality image. The result is an excellent performance and end-user experience, along with CDN cost savings. Content security. Cloud Mirror respects the DRM with which the content was protected (DRM agnostic) by the Content Provider and allows to add “tokenization” rules when providing it to the end user. Dedicated servers. Cache nodes are exclusive to the use of the Content Provider and do not compete with other clients for resources. Optimization for strategic content. Cloud Mirror allows to configure specific rules to replicate launch contents in advance or with high demand forecasts, by using a cache administration system managed directly by the Content Provider. Live Channels and VOD. Cloud Mirror can be used in both live and on-demand video content, optimizing experience and costs in any scenario. High quality image. The end user enjoys the highest quality content thanks to the greater bandwidth between their connection and the Cloud Mirror server. Innovative pricing model. The Cloud Mirror service cost is based on storage space and peak bandwidth usage, unlike other CDN solutions that quote with gigabyte consumption. Significant deployments made by Toolbox endorse the use of Cloud Mirror as the ultimate tool to meet all interconnection needs between Content Providers and TV operators or ISPs, ensuring performance, subscriber loyalty and cost optimization to increase business profitability. As part of the development plan of solutions designed to provide added value and technology for the development of its customers’ business, Toolbox is currently working on Ads Servers and User Lifecycle Management tools, which are key solutions for the optimization of the business model of content provision.